CHALLENGE: Sefiani was engaged by Avner Pancreatic Cancer Foundation to help raise awareness of the alarming statistics of pancreatic cancer in Australia (the disease has a 9.8% survival rate over 5 years) and highlight the urgent funding need for more research into the disease and better treatment to improve life expectancy. 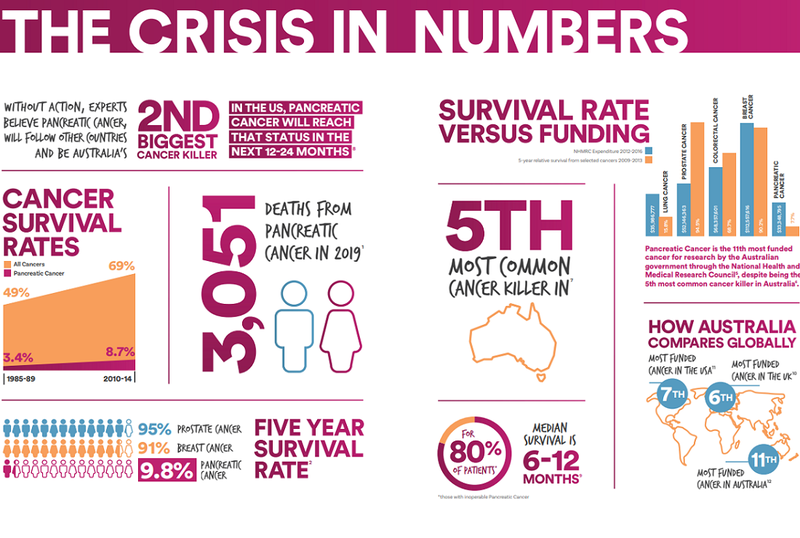 STRATEGY: We produced and launched a detailed report on pancreatic cancer which outlined pathways to better outcomes for patients, dependant on more medical research. Advocates, medical experts and pancreatic cancer survivors helped spread the word and Board members of Avner Pancreatic Cancer Foundation lobbied both sides of federal parliament to seek $52 million funding over five years. IMPACT: The report was launched five days after the Government’s May 2019 Budget in a pre-Federal election context. On the day prior to launch the Leader of the Opposition, Bill Shorten pledged $4 million to the Avner Foundation to fund Australia’s first Pancreatic Cancer Patient Hub, and prominent media coverage of the report and interviews with a survivor, medical expert and Founder of the Avner Foundation were secured Australia-wide. After the Federal election was called some days later, the Leader of the Opposition and Shadow Health Minister pledged a further $20 million to Avner Pancreatic Cancer Foundation over 4 years for medical research and better diagnosis.